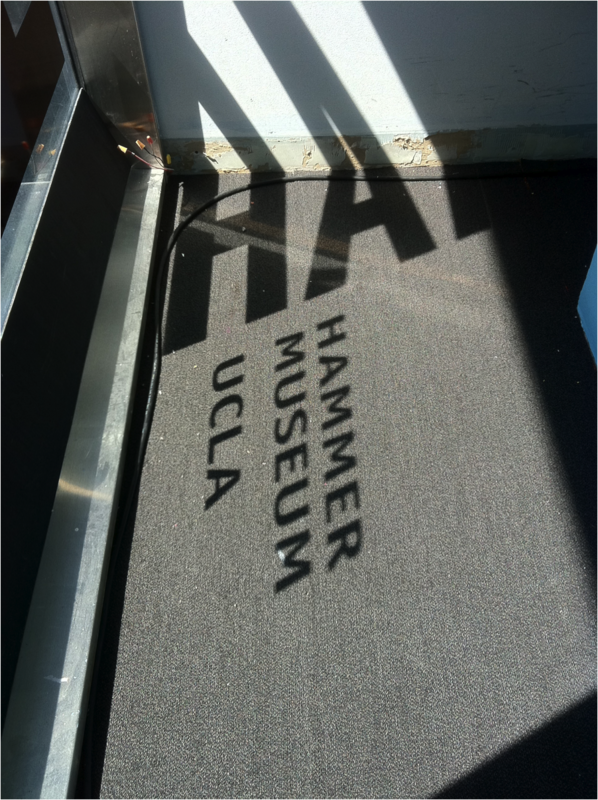 Our opening day at the Hammer Museum was a blast! Over two hundred visitors came through, and almost six hundred books were donated. David and I never stopped talking with patrons, while the scaffolding of work that keeps a bookstore running was heroically propped up by Hammer volunteer Tristan, and Libros Schmibros volunteers Becca Jensen and Denise Villegas. Becca and later Tristan imposed order on our storage area by starting to sift and alphabetize the newly donated books, while Denise ‘s fingers flew, entering our data more rapidly than any of us imagined possible. Meanwhile, the museum remained gracious and hospitable hosts to our hijinks, giving us the feeling that we had passed into some perfect and parallel world where we had but to imagine and reality would follow. The Hammer Museum’s Public Engagement program will bring an artist project by David Kipen—an interpretation of Libros Schmibros, a nonprofit lending library and used-book shop in Boyle Heights—to Westwood. Libros Schmibros will be set up in the Hammer Museum’s lobby gallery. Kipen, former Director of Literature for the National Endowment for the Arts and a past book critic for the San Francisco Chronicle, established Libros Schmibros in July 2010 with his collection of roughly seven thousand books, in response to the lack of accessibility to books in his Boyle Heights community.